No matter how you choose to support the university through student scholarships, funding new initiatives, or leaving a legacy, your generosity truly makes a difference. 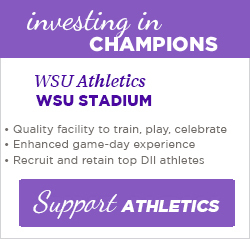 The Sustaining Fund is supported by Winona State alumni, employees and friends who give each year to the WSU Foundation. These sustaining gifts directly benefit students every day. Nearly 60% of WSU students qualify for financial assistance. Scholarship contributions help make a higher education possible for students hoping to earn a degree at Winona State. The Foundation is committed to funding new initiatives that meet the needs of students to improve their learning and experience, preparing them for an ever-changing world. 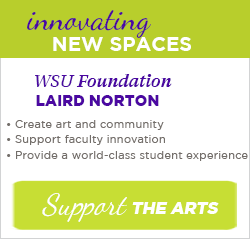 Whether you have a passion for advancing art and design, supporting athletics, or investing in the next generation of business leaders -- you can co-create an exciting future for Winona State and its students.